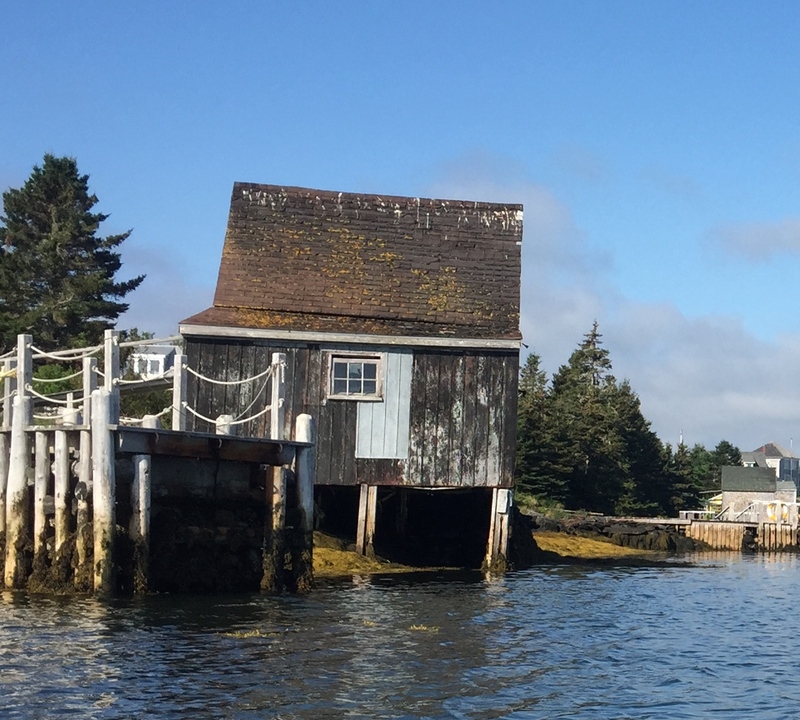 After our jaunt to Newfoundland we headed south to Lunenburg – about 1 hour south of Halifax. An easy drive to this lovely fishing village. We decided on this stop thanks to an article in the Tiffin owners magazine. I was skeptical that about this place – I enjoy either big cities or more natural settings. Boy, I was wrong. 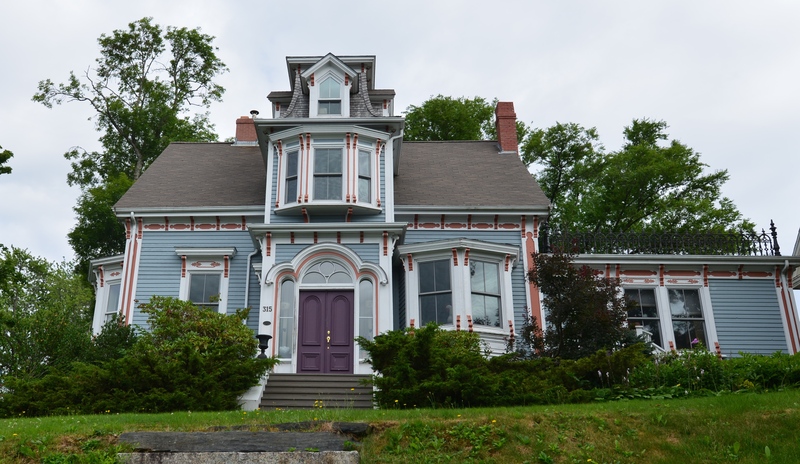 Lunenburg is rich with heritage and lovely, lovely scenery. The Bluenose – a tribute to the area’s shipbuilding past & winner of the International Fishermen’s Trophy due to record-setting catches. A UNESCO heritage sight filled with lovely small houses, buildings, shop fronts, harbor – one more lovely than the next. And a handful of good, good restaurants. Saint John’s Anglican Church, rebuilt after a fire, is majestic with great wood features and stained glass. Originally built in 1753, the church has been rebuilt after a devastating fire in 2001. The organ was replaced with one from Quebec. The church is the second oldest in Canada! 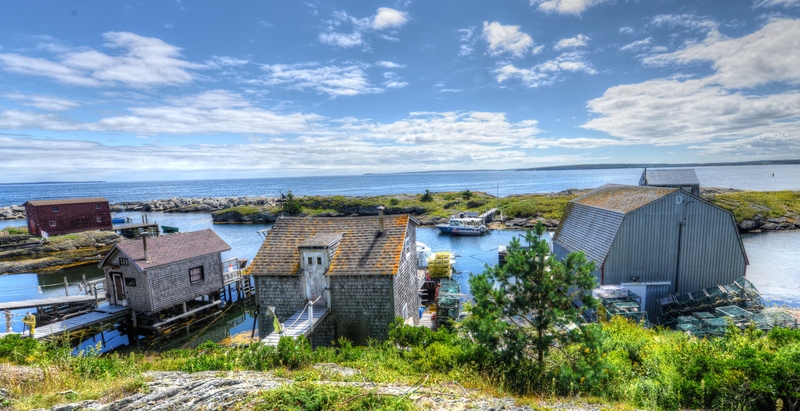 The town was founded by three Brits: Sutherland, Jessen & Creigton – and one of the first British attempts to settle Protestants in Nova Scotia The Native American Wabanaki Confederacy – the Confederacy attacked the Brits numerous (9) times attempting to get their land back. With no success. 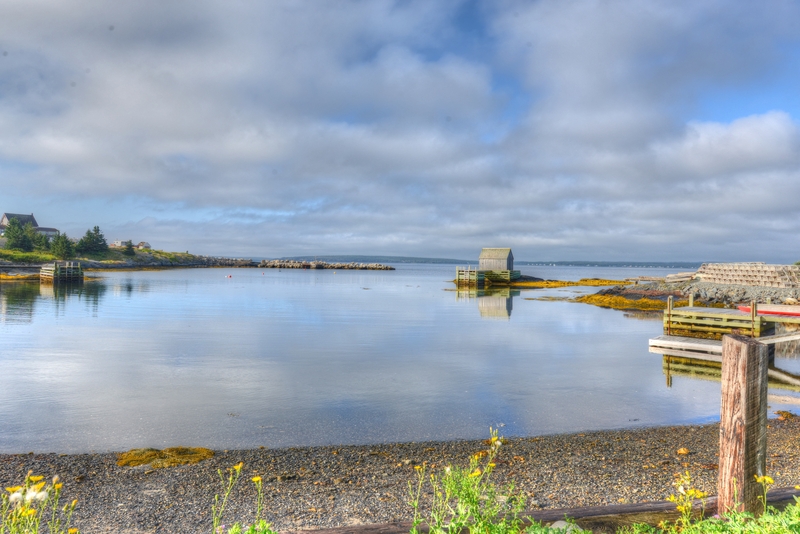 A bend in the road provides a glimpse of another quaint harbor – with fishing shacks. 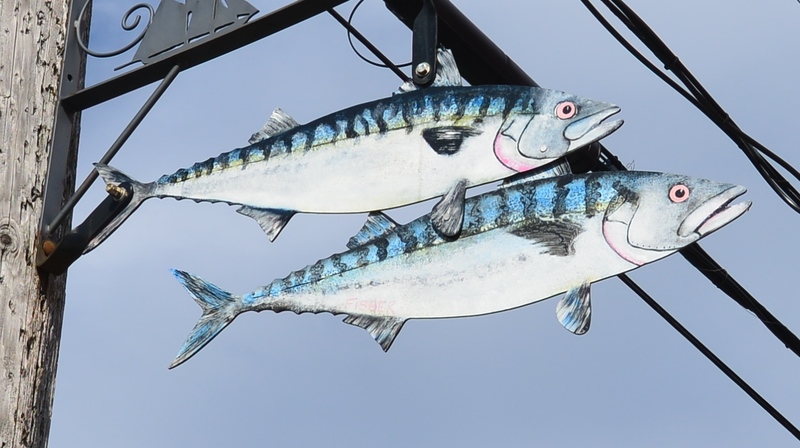 A local town memorial to people – fishermen – lost at sea throughout the years. Even the street signs are precious….. 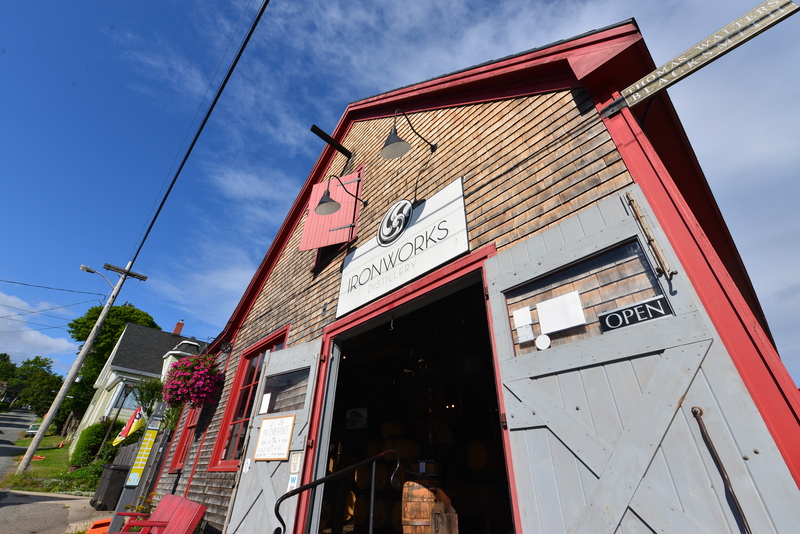 The UNESCO designation is in place to ensure protection for much of Lunenburg’s unique architecture and civic design – being the best example of planned British colonial settlement in Canada. The historic core of the town is also a National Historic Site of Canada. Even the Distillery is cute! Selling cute spirits! In addition to the lovely surroundings, another appealing aspect of this stop was the availability of a Board of Trade owned RV lot. Close to town and providing many opportunities to walk to this quant little town. It was not a great RV resort by anyone’s definition, but with full hooks ups and that short walk, we loved it. 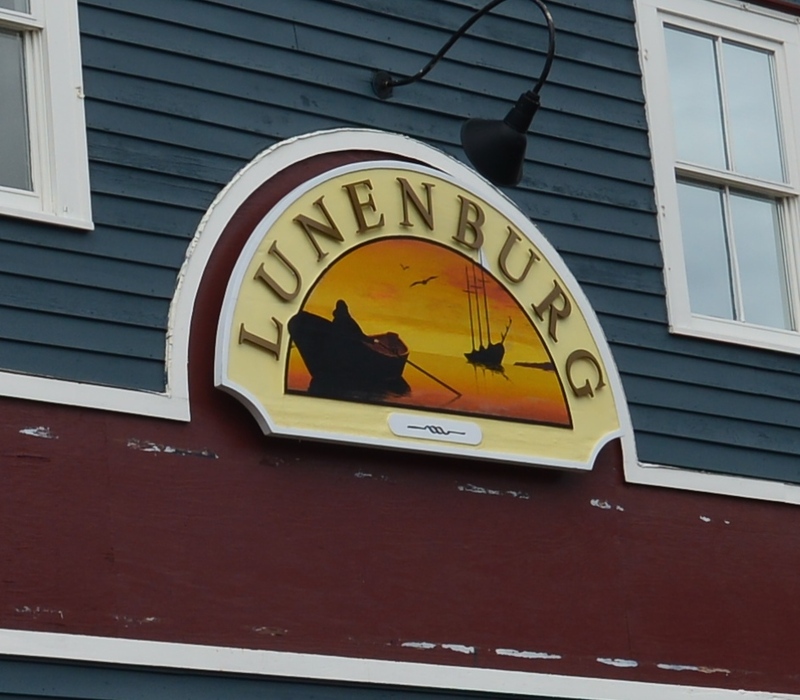 The people have their own distinct dialect – known as Lunenburg English – influenced by New England English & German. Charming. Nothing – loved the whole place! Eating at the any of small fish restaurants overlooking the harbor as well as Fleur de Sel. Bringing back MORE scallops from Adams & Knickle and fresh lobster – same price as Maine! Two Boomers Take on ACL Fest, Austin – and Live to Love It! Thanks! hope you are traveling safely! Thanks! we really enjoyed it – and of course hope to return. So many places! We loved Lunenburg, also:) You didn’t have a photo of the very cool elementary school!! The school in Lunenburg was featured in a commercial, but I can’t remember what the commercial product. I know we were very excited because we knew few people would recognize the school. We were surprised just how neat the town is. Glad you enjoyed it, as well:) Your photos are absolutely beautiful. Thanks for sharing! Oh! We missed the school. Will have to look that up! Thanks for your note. It was a Cisco Systems ad. It showed children in a classroom at the Lunenburg Academy connecting via video technology with a classroom in China. Ellen Page was in it. I think it only played on US television. Great post and photos, brings back great memories of our visit about this time last year. Thanks! Was really surprized how much we enjoyed this little town!